In a rice protein base. Chromium is a dietary element that is part of a substance known as glucose tolerance factor (GTF). As such, it improves glucose tolerance and minimizes the effects of insulin resistance. Insulin resistance, also known as metabolic syndrome or syndrome X, is a condition characterized by a gradual increase of certain biochemical changes. Individuals begin to gain weight, mainly in the trunk or abdomen. They also experience a gradual increase in cholesterol and triglycerides, as well as higher blood pressure and elevated blood sugar. Chromium helps reverse resistance and thereby reduce the severity of symptoms, if not eliminate them. In some cases, particularly in the primary stage, insulin resistance may increase the need for sugar, leading to cravings for sugar and starch. The chromium used in this formula is a natural form of polynicotinate, i.e., niacin-bound chromium (vitamin B3). Useful in cases of insulin resistance. Can be used to reduce blood sugar in type II diabetes and to help reduce cholesterol. Chromium also relieves symptoms of hypoglycemia and reduces cravings for sugar and starch. If you have diabetes, carefully monitor your blood sugar when taking chromium to ensure that it does not drop below normal levels. 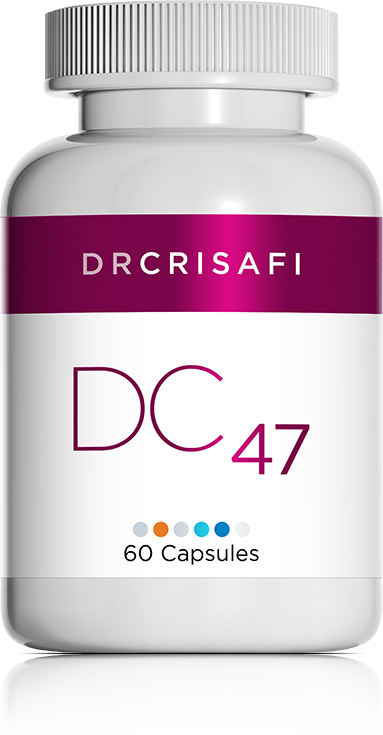 May be used in conjunction with DC 52 for an increased effect on cholesterol and blood sugar balance.